If I had my way, all holiday gifts would be of the homemade variety. There’s nothing I love more than receiving something that someone I love made specially for me - putting time, effort and care into the gift. Or alternatively, an experience! I love this round-up from Kathryn at the Going Zero Waste blog, highlighting 50 awesome experiences you can gift a loved one, without breaking the bank. But I know as well as anyone, that there are some folks on my list where those types of gifts just don’t work. And in those instances? Online shopping for the WIN. Last year I was able to do all of my holiday shopping without setting foot in a store or mall, and it was glorious! And our newest Prize #OhmHour giveaway may help you do the same. 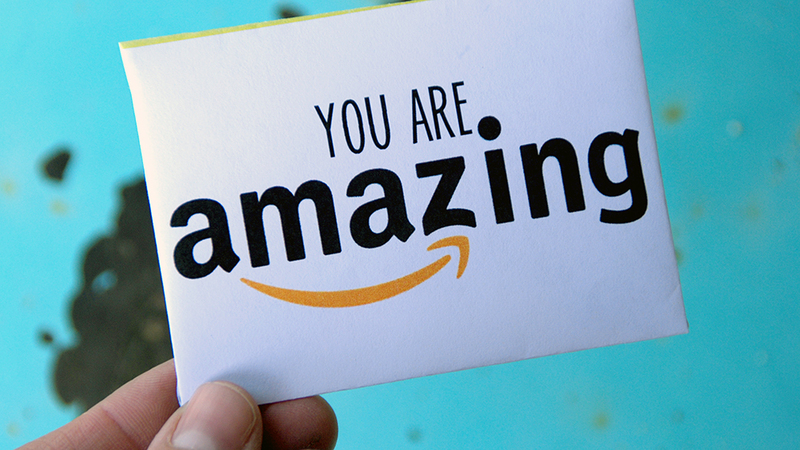 This month, 50 lucky OhmConnect community members will be going home with $250 to spend on Amazon purchases. Want to be eligible to win this week’s Prize #OhmHour? 3. Have a smart device (like a Wifi thermostat or smart plug) connected to your OhmConnect account during the Prize #OhmHour for instant eligibility!